Last month, Colin Kaepernick and his legal team filed a grievance against the NFL, claiming the league and its owners "have colluded to deprive Mr. Kaepernick of employment rights in retaliation for Mr. Kaepernick's leadership and advocacy for equality and social justice and his bringing awareness to peculiar institutions still undermining racial equality in the United States." Today (Nov. 3), the still-free agent is celebrating both his 30th birthday and an advancement in his legal case, with NFL players reportedly being deposed for cellphone records and emails in connection with the case. As reported by ESPN, Dallas Cowboys owner Jerry Jones, New England Patriots owner Robert Kraft and Houston Texans owner Bob McNair, among others, will be deposed. Those selected were chosen for their public statements about either Kaepernick specifically or about the sideline protests during the national anthem. 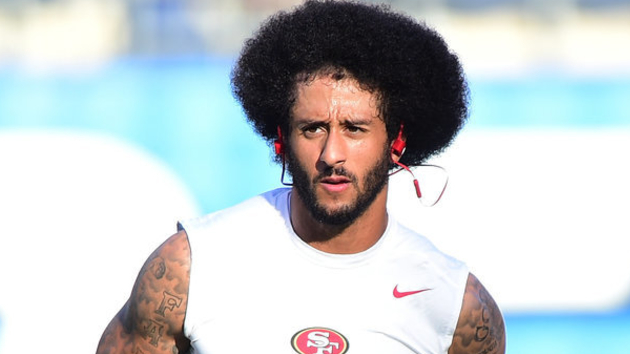 Last month, Kaepernick's attorney, Mark Geragos, explained that his client had filed a grievance under the collective bargaining agreement alleging collusion against signing him to an NFL contract. Kaepernick also tweeted that he moved forward with the filing "only after pursuing every possible avenue with all NFL teams and their executives." It was also recently reported that Kaepernick was excluded from NFL player-owner meetings to discuss social justice and the ongoing protest movement, with emails contradicting claims that he had been invited to participate. "We specifically reached out to the [NFL Players Association] and to the Players Coalition [the group led by Malcolm Jenkins] and we were verbatim told that Colin had no role," Geragos said, speaking with reporters at Slate. Additionally, McNair recently made headlines for his controversial comments referring to players in the NFL as inmates in prison, with JAY-Z even vocalizing his reaction during the first stop of his 4:44 tour, using the distasteful comments as a way to try to uplift others to keep pushing and keep fighting. In response, it was announced that NFL players had invited Kaepernick, McNair and NFL Commissioner Roger Goodell to have a conversation that was proposed for this past Monday.